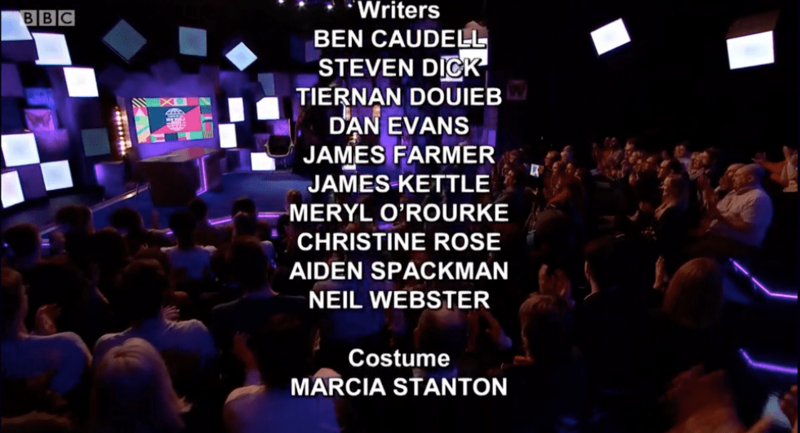 If you watch the excellent Frankie Boyle’s New World Order on BBC2, which you should, then you probably didn’t remotely notice my name pop up on the credits because you’ll likely have turned over by then. But hopefully you did stick around as I’m chuffed to have writing credits on two episodes so far as a few of my gags have made it onto the show. All the other gags by Frankie and others are damn good too, so giz it a watch on the iPlayer eh?